SunTrim Plus works to create fast weight loss by helping you feel full! This really is the art of herbal science. Simply consume 3 capsules, 30 minutes before mealtime. This revolutionary new herbal supplement “pre-satisfies" your appetite with cocoa bean, green coffee bean, resveratrol, green tea, and mangosteen, so that you don’t overeat. SunTrim Plus is a super-concentrated, fast-acting formula that you can feel working the very first time! When you take 3 capsules 30 minutes before mealtime, you naturally eat less. Unlike other questionable weight-loss supplements, SunTrim Plus does not deprive your body or make you feel jumpy, grumpy or lethargic. Instead, this natural herbal formula helps you create a healthy, trim body without unwanted side effects. Best of all, it works fast! Readjusts the capacity of the stomach; you'll still have a normal appetite but will simply want to eat less, resulting in long-term weight loss. Encourages the body to return to its natural eating habits. Helps breakdown and flush fat already deposited in your body. Works immediately to help you control portion sizes. Concentrated herbal formula with healthy ingredients. No added stimulants, fillers, or depressants. Researched, developed, and manufactured in Los Angeles, California. As you continue to take it, SunTrim Plus not only helps you reach a healthy weight, but it also leads to better eating habits. Since you’ll feel full faster, you’ll sense that your stomach is shrinking and you’ll have less and less desire for junk foods or unhealthy binge eating. 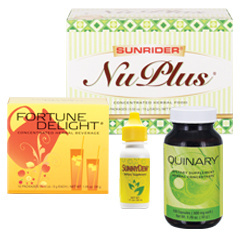 Try SunTrim Plus in conjunction with the healthy foods and drinks in the SunFit Pack. Herbal authority Dr. Tei-Fu Chen, created SunTrim Plus to be a safe, effective, natural solution for weight-loss. His company, Sunrider, makes over 400 products in Los Angeles, and they have been a leader in the health and beauty business since 1982! 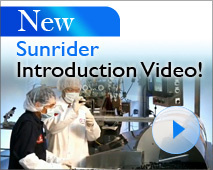 This video features Tei-Fu's son, Reuben K. Chen, MD describing SunTrim Plus. Try SunTrim Plus today with our money back guarantee.